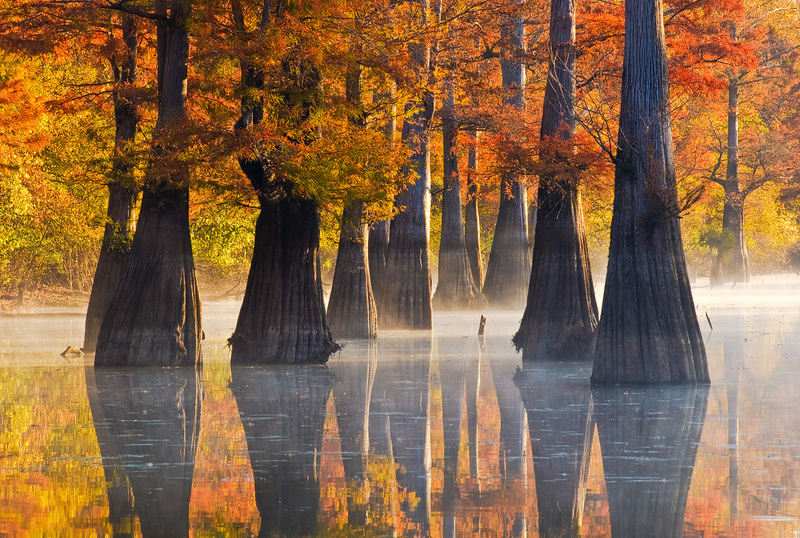 A group of large cypress trees glow in soft early morning light. Arkansas Nature Photography. Photo © copyright by William Dark.